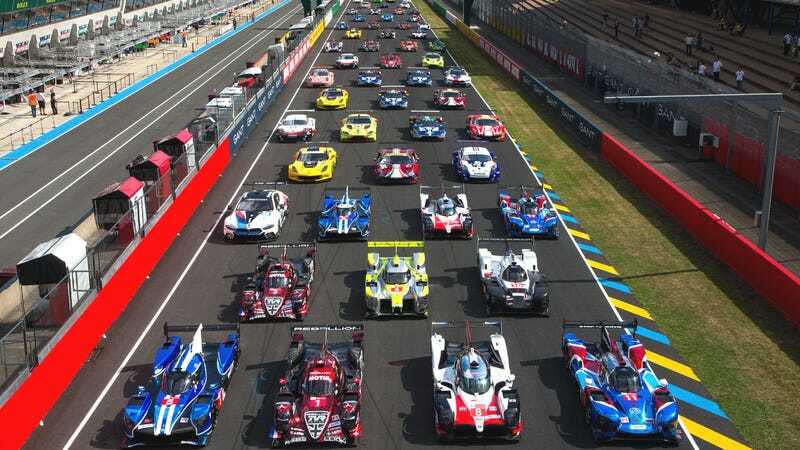 The 2018 Le Mans 24 field has been assembled for the first time today during pre-race testing. The 2018 Le Mans 24 field has been assembled for the first time today during pre-race testing. The Astons are eye-searing Green, and Porsche has a couple throwback livery 911 RSRs. It’s Toyota’s race to lose in LMP1, but LMP2 and the GTE classes are really anyone’s game. Who are you picking to win each class?